Which Nintendo Switch Launch Games Should You Buy? The Nintendo Switch is finally here! 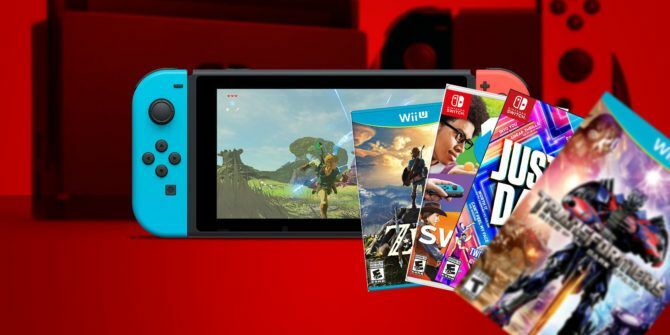 Whether your pre-ordered system is in your hands right now or you’re still considering getting Nintendo’s latest console, it’s a great time for gamers. But no system is too exciting without some games to play. We’ve discussed what the Switch needs to succeed 5 Things the Nintendo Switch Needs to Succeed 5 Things the Nintendo Switch Needs to Succeed The Nintendo Switch has been revealed! Here are a few ways Nintendo can make the best of its new hybrid console! Read More , and one of the most important components is a strong start. Few consoles have had their best games available at launch, but there are a few standout titles for early adopters of Nintendo’s new hybrid. Here’s a rundown on all the games available for the Switch on day one. Let’s start with the big one. Breath of the Wild was originally intended to launch on the Wii U, but received several delays and is now launching on the Switch and Wii U simultaneously. It’s the last Nintendo-made game for the Wii U, but certainly the launch title most people are looking forward to on the Switch. The first proper Zelda (not a spin-off or remake) since 2013, Breath of the Wild brings a true open world to the series for the first time. Instead of the classic controlled action-adventure style of gameplay, this Zelda lets you go anywhere you can see Love Exploring? These RPGs Are Made For You Love Exploring? These RPGs Are Made For You Many players love RPGs because their large, open worlds offer an unparalleled opportunity to explore a virtual landscape. Here's ten games that you can explore for hours on end. Read More . With a hundred shrines to explore, armor and weapons that change how Link fights, and dozens of quests. We can’t wait to get back to this gorgeous iteration of Hyrule! Worth buying? If you’re getting a Switch at launch, you need this game. Both of Nintendo’s prior consoles had a game designed to show off the system’s features. Wii Sports let players use their Wii remotes to control tennis rackets and baseball bats, while Nintendo Land featured several minigames to show off the dual-screen gameplay the GamePad offered. 1–2–Switch is the “introductory” game for the Switch, and brings with it 28 minigames (mostly) for two players. What’s unique about 1–2–Switch is that most of the games have the players looking at each other, not the screen. Games include Quick Draw where you wait for a sound to draw your “weapon” and fire at your opponent first, and Shaver, where players race to “shave” their “beards” using the controller. This game makes extensive use of the two Joy-Con controllers included with the system and demonstrates their motion capabilities and HD Rumble technology. Whether this is a smash hit like Wii Sports remains to be seen; it’s too bad this isn’t a pack-in game with the system. Worth buying? At $50, it’s an expensive set of minigames. It could provide some fun with the family, but it’s probably not worth it if you usually play alone. The latest entry in the long-running dance party game series, Just Dance 2017 arrived in October for other systems. It’s a launch title for the Switch, but it’s not much different from its earlier launch. If you’ve played a Just Dance game before, you know the story here: you’ll be shaking your arms, hips, and everything else along with on-screen dancers 5 Rhythm Games You'll Have to Work To Get Good At 5 Rhythm Games You'll Have to Work To Get Good At Here are five relentlessly challenging rhythm games that might end up with you having thrown the controller through the TV. Read More to various pop songs. Dancing is a great way to try out the Joy-Con controllers, but you can also use the Just Dance app on your smartphone to play along if you don’t want to buy extra controllers. This edition also comes with a three-month subscription to the Just Dance Unlimited service, which lets you access over 200 additional tracks not included in the base game. Worth buying? This certainly isn’t a system seller, and not worth a double dip if you already own Just Dance. However, it’s a fun party game The 4 Best Party Games On Modern Video Game Consoles The 4 Best Party Games On Modern Video Game Consoles There are some games that, while not the best games when played alone, make for great party games. Would you sit there and play them by yourself? Probably not. But get a group of friends... Read More and a good way to get moving while gaming 4 Video Games That Will Help You Lose Weight 4 Video Games That Will Help You Lose Weight All too often, people who are not gamers have this idea that individuals who choose to spend their time playing video games are lazy. Sure, we like to sit around with a controller in our... Read More . Imaginators is another title that’s already available for the PS4, Wii U, Xbox One, and older systems. It’s the latest game in the Skylanders series, where the figurines you purchase come to life in the game. The starter pack comes with two senseis and one creation crystal, with more available to purchase separately. This entry in the series is the first to let players create their own Skylanders. The Switch version also features a digital library to make storing your characters easy, perfect for on-the-go play. We’ve talked about the differences between Amiibo, Skylanders, and Disney Infinity if you’re confused. Worth it? Certainly not worth buying twice if you already have this game elsewhere. This series is mainly aimed at a younger audience 5 Children's Video Games That You'll Enjoy Too 5 Children's Video Games That You'll Enjoy Too Just like you enjoy that animated movie as much as the kids it was made for, the world of video games has some great titles that appeal across ages. Read More , and can get expensive when you purchase the figurines. Best to avoid this one unless you have kids interested in the series. It’s great to see an arcade title in the launch lineup for the Switch. Super Bomberman R is the first game in the series that Konami is handling since the old developer Hudson Soft went out of business. This game celebrates 34 years of Bomberman and showcases him doing his thing: navigating mazes and using bombs to blow up his enemies. Super Bomberman R features 50 single-player levels which can also be played with a friend in co-op. With friends, you can enjoy eight-person multiplayer, making it a perfect game to enjoy on the couch with friends 6 Video Games With Fantastic Local Multiplayer For Dorm Room Gaming 6 Video Games With Fantastic Local Multiplayer For Dorm Room Gaming There are still some titles that faithfully provide an excellent couch experience for multiple players. They either allows for up to four people to play at once, or provide an entertaining enough experience to keep... Read More . It’s not breaking major ground, but this just might be a solid arcade title for the retro-minded. Worth buying? If you enjoy arcade games, this is a great buy as its bite-sized nature complements Zelda‘s grand scope. Those who hate Bomberman won’t find this one any different, but there’s something here for both solo players and groups. This Japanese role-playing game started on the PS4 and PC, and is coming to the Switch as well. It follows the classic tropes of the genre — you’ll amass a party, talk to villagers in towns, learn new abilities, and fight enemies. I Am Setsuna takes inspiration from JRPG greats like Chrono Trigger, and has received positive reviews on other systems. Worth buying? If you’re a fan of Japanese RPGs Japanese RPGs Aren't Dead: 3 Solid Games Released In The Last Year Japanese RPGs Aren't Dead: 3 Solid Games Released In The Last Year If you are a fan of the genre and you feel like it's getting lost in a sea of first-person shooters and MOBAs, you really should check these games out. Read More , this is definitely one to check out. Human Resource Machine, a puzzle game with a programming theme. You play as an office worker who must use explicit instructions, akin to assembly language, to perform tasks. World of Goo, a classic puzzle game where you must arrange balls of goo to form towers and bridges to reach stage exits. Little Inferno, a satire of simple online games that require barely any thought. The player sits in front of a fireplace and burns various objects to see when happens when they catch on fire. Worth buying? World of Goo is a critically acclaimed puzzle game and worth playing if you haven’t done so yet. Human Resource Machine has an interesting concept, but can get tedious if you don’t enjoy programming 6 Signs That You Are Not Meant to Be a Programmer 6 Signs That You Are Not Meant to Be a Programmer Not everyone is cut out to be a programmer. If you aren't completely sure that you're meant to be a programmer, here are some signs that may point you in the right direction. Read More . Little Inferno is more of a novelty and is probably better watched on YouTube. Another indie title hitting the Switch at launch, Shovel Knight is a Kickstarter success from Yacht Club Games. It’s a retro 2D platformer that does everything right Top 20 Platformer Games Of All Time Top 20 Platformer Games Of All Time With thousands of video games, where do you start when you want to play the best? Here's our definitive guide on the best 20 platformers of all time. Read More . Tight controls, perfectly balanced difficulty, an all-star soundtrack The 20 Best Video Game Soundtracks for Studying or Relaxing The 20 Best Video Game Soundtracks for Studying or Relaxing Video game music is engineered to promote focus with enjoyable background tracks. If you need some music for studying or relaxing, look no further. Read More , and gameplay that pays homage to the days of yore while still featuring modern enhancements make this an essential play for any platformer fan. It released to critical acclaim in 2014 and hasn’t stopped rolling since — expansion Plague of Shadows lets you play through the game as one of the bosses, and the upcoming Specter of Torment adds the backstory of another boss. The developers have created something truly special with Shovel Knight, and it’s great to see it coming to the Switch at launch. Worth buying? Shovel Knight is one of the finest platformers and indie games of the 2010s. This is a must-have if you haven’t experienced it yet. Snipperclips is the other launch title that will demonstrate the fun of the Joy-Con controllers. It’s a puzzle game where you and a friend can team up in co-op to solve puzzles based on cutting paper. Using the Joy-Cons, you can move your player and twist all around in order to find a solution. While 1–2–Switch looks like an enjoyable game for new Switch owners, the $50 price tag is a sticking point. Since Snipperclips only costs $20 and is available digitally, it’s a great game to show off the new system to friends without breaking the bank. Plus, it seems pretty unique. Worth buying? If you’ve got a spare $20 after buying the Switch, a microSD card for storing digital games, and a Pro Controller, Snipperclips looks like the best launch title available aside from Zelda. 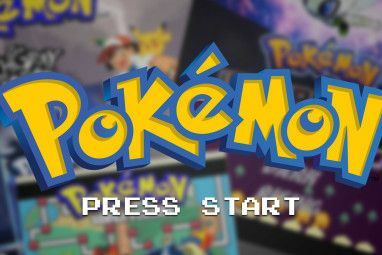 While most of Nintendo’s big franchises get plenty of love — like Mario, Zelda, and Pokemon — others have been quiet for years. Once such series is F–Zero, the high-speed futuristic racing game. This title, a sort-of sequel to FAST Racing NEO on Wii U, looks to fill the void. It’s a high-octane racer that’s ready to go for the Switch. With 30 tracks, 15 vehicles, and local/online play with up to eight people in 60 FPS, racing fans will be delighted with this one. Worth buying? It’s not an essential game, but if you’re a racing game fan you’ll probably have some fun with it. Mario Kart 8 Deluxe arrives in late April and provides an enhanced version of the Wii U kart racer Excited About Mario Kart 8? Relive What Came Before! Excited About Mario Kart 8? Relive What Came Before! A lot of game franchises start off slowly and gradually build up a following. But Mario Kart burst into the gaming world and has never stood for anything less than brilliance. Read More . Arms is Nintendo’s fighting gaming similar to the boxing minigame from Wii Sports. 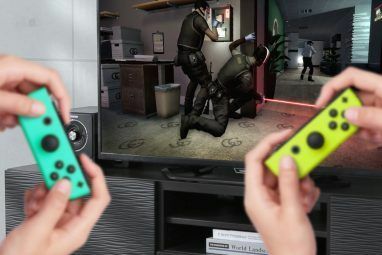 Players use the Joy-Con controllers to battle each other with extendable arms. Splatoon 2 is coming this summer, with an open beta starting in March for Switch owners. Have a look at the rest of the announced Switch games on Wikipedia for more. Which Switch Games Will You Get? The Nintendo Switch doesn’t have the greatest launch line-up of all time (nothing can beat Super Mario World as a pack-in game or Super Mario 64 available at launch) but it’s certainly far from the worst. Everyone buying a Switch should get Zelda without question. If you’re got some extra money, Snipperclips should be your second game. 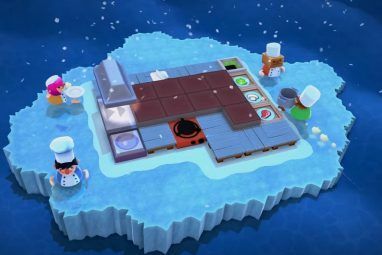 1–2–Switch and Bomberman are worth a look depending on how many people you play with, and there’s a healthy sprinkling of indie titles if you missed them at launch. With games like Super Mario Odyssey in the works for 2017, we’re optimistic about what’s to come for the Switch this year. Check out everything you need to know about the Switch Nintendo Switch: Everything You Need to Know Right Now Nintendo Switch: Everything You Need to Know Right Now The Nintendo Switch has finally been shown off for the public! Want to know what Nintendo has in store? Here's everything you need to know about the Nintendo Switch! Read More if you’re still thinking about picking up the console. Did you get a Switch at launch? Which games did you pick up, and are you planning on buying any more? We want to hear what you think of the Switch so far in the comments! Is Nintendo Switch kiosk play demos? I'm not sure what you're asking. Are you wondering if demos of Switch games are playable at store kiosks such as Best Buy? In my area at least, I haven't seen any Switch system in a kiosk available to try.